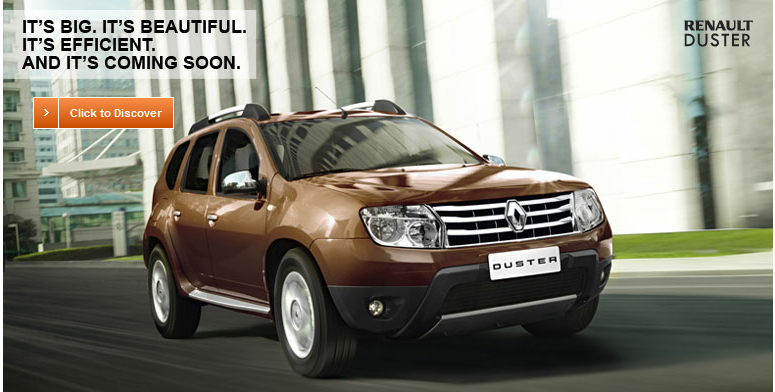 Renault Duster finally has announced officially the launch date as 04th July 2012. All those Tata Sky viewers must have known it by now. Just a couple of hours ago, when the advertisement appeared first time on Tata Sky, as soon as you switch on your Tata Sky steup box, you will get a still advertisement which says - "Renault Duster 4 days to go". Click here to view launch, bookings open, details, first drive, spy shots, top variant to have third row and more reviews, first promotion and UK launch. Click here to view our complete gallery on our facebook page.